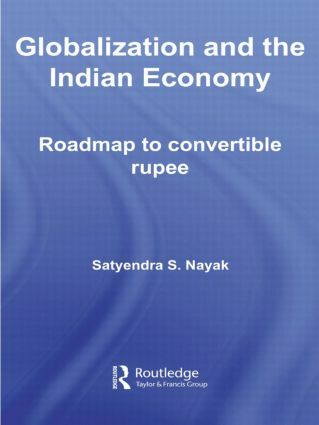 This book examines the impact of globalization on the Indian economy, exploring the trade, investment and financial aspects of globalization, and also considering its implications for the balance of payments and currency exchange rate. The first part of the book deals with the evolution of the philosophy of globalization and its impact on exchange rates, global liquidity, currency markets, and global trade and payments. It highlights the catalytic role played by the US in driving the globalization process, and provides detailed analysis of the evolution of the international monetary system to illustrate current processes of globalization. Furthermore, a critical discussion of the Asian financial crisis of 1997 is presented as well as the lessons that have emerged from the crisis. The Indian economic experience and its own policy of dealing with globalization is the focus of second part of the book. The author examines the genesis of economic reforms and liberalization in India. The success of the Indian policy of gradualism is discussed in the context of the Asian crisis, and the reasons as to why India averted a similar crisis are explored. Finally, the author examines whether the Indian currency, the rupee, can be made fully convertible. This book makes a valuable contribution to the literature on globalization and development and should be of interest to academics interested in the global economy, international finance, international development and also to academics with an interest in South Asian Studies.